With the improvement of inlet temperature of aero-engine turbine, continuous fiber reinforced ceramic matrix composite (CFCC) has become an important material for turbine guide vane. In this paper, the testing method of steady state thermal load and cyclic thermal load were explored under typical working environment of turbine guide vane. The temperature field was established through the high-frequency induction heating and was measured by thermocouples and an infrared thermometer. The DIC strain gauge was used to measure the strain. 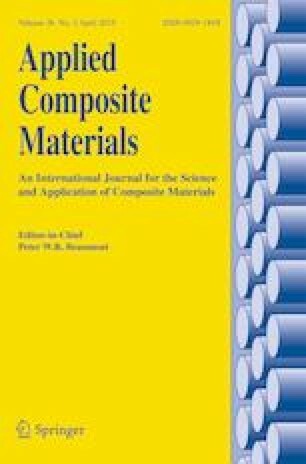 This method overcomes the difficulties in the temperature field establishment, temperature and strain measurements of the ceramic matrix composites. The material mapping method has been applied to calculate the macroscopic stress and strain. It has been observed that the maximum strain error was 11.8% compared with the steady state thermal load experiment result. On this basis, the stress and strain of the thermal fatigue load were analyzed. In addition, a fatigue test was carried out on the standard test pieces, which had the same manufacturing process with the turbine vane. The obtained results through this paper show that the life of the vane was more than 8.34 × 106 under the thermal fatigue load. The experimental and numerical calculation methods proposed in this study provide the experimental and theoretical basis for further research.